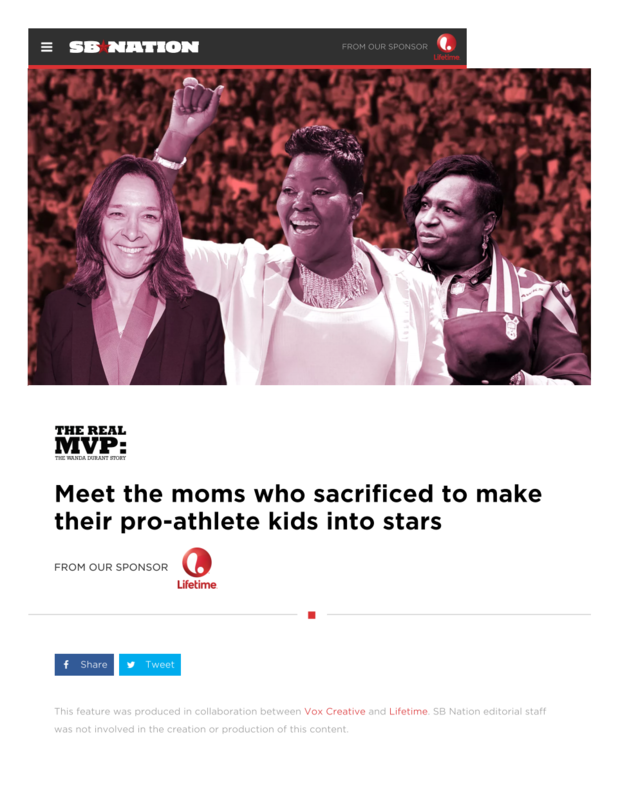 I highlighted a series of mothers who struggled and persevered through hard times and humble beginnings to help their children become major sports stars. 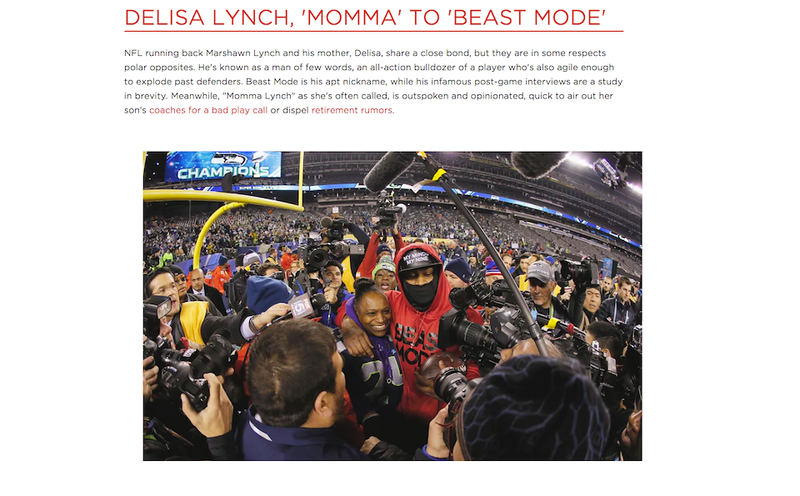 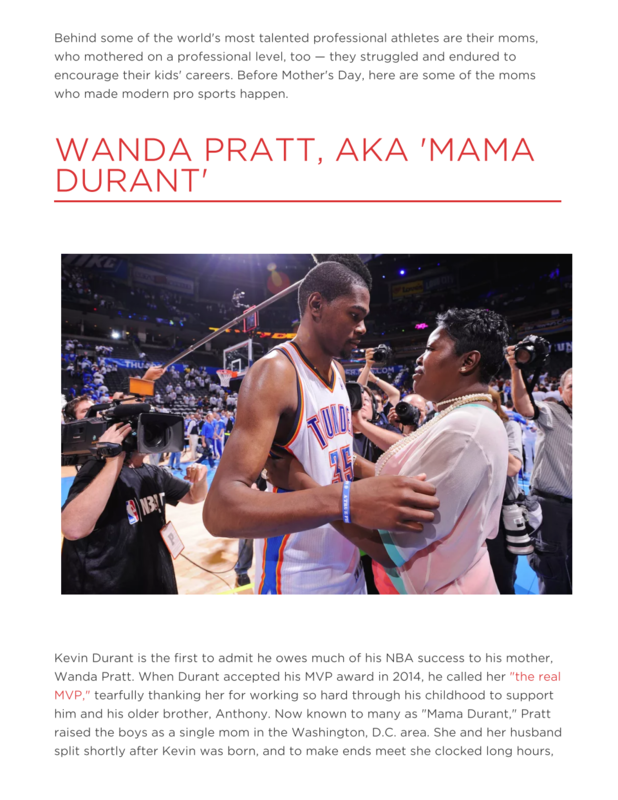 Timed to Mother’s Day and the broadcast of Lifetime movie The Real MVP: The Wanda Durant Story, I retold the origin stories of Wanda Pratt and NBA great Kevin Durant), Joenethia White and NFL receiver Roddy White, Ana Maria De Mars and MMA star fighter Ronda Rousey, Esther Fekete Howard and USMNT goalkeeper Tim Howard and Delisa Lynch and NFL running back Marshawn Lynch. 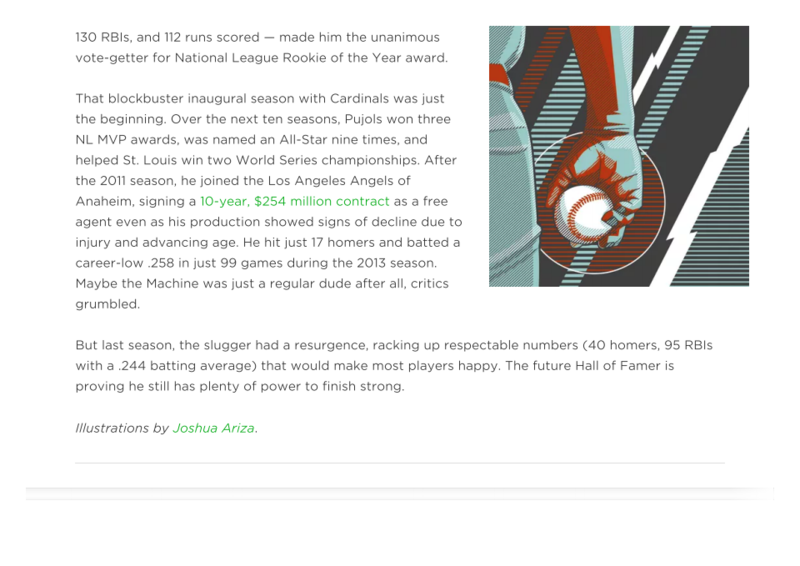 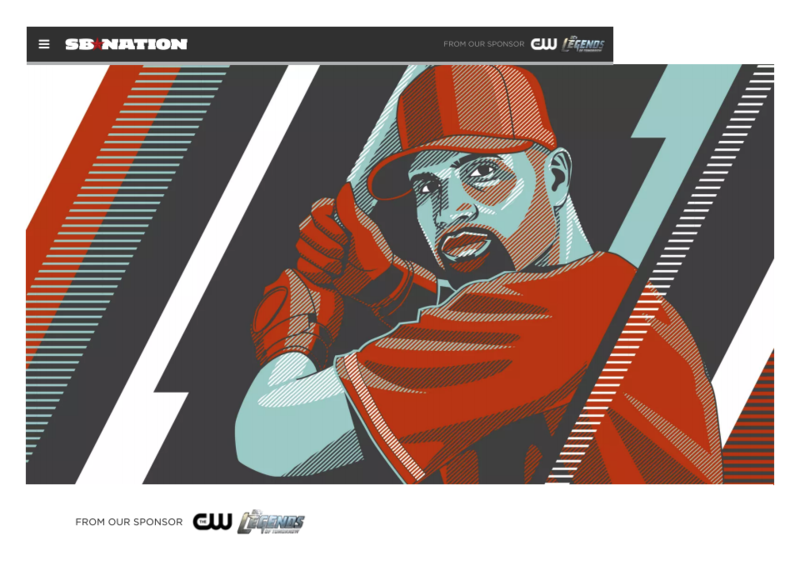 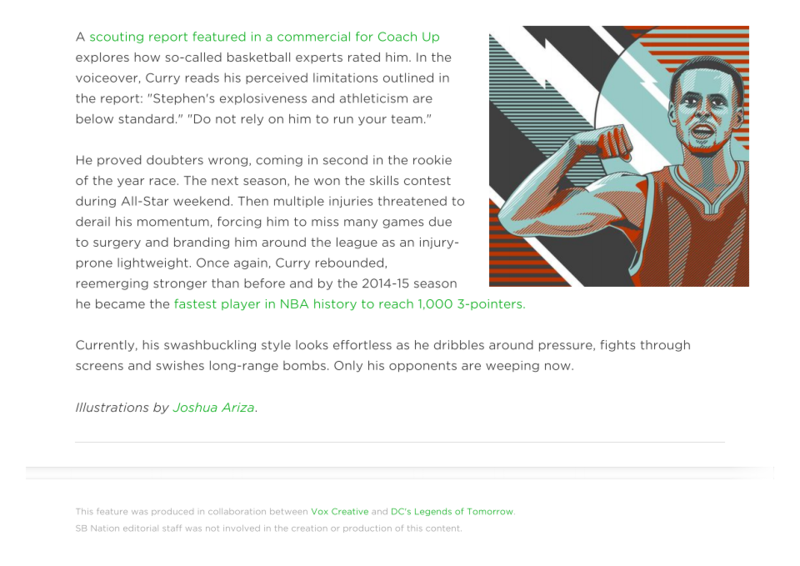 The piece was commissioned by Vox Creative for SB Nation. 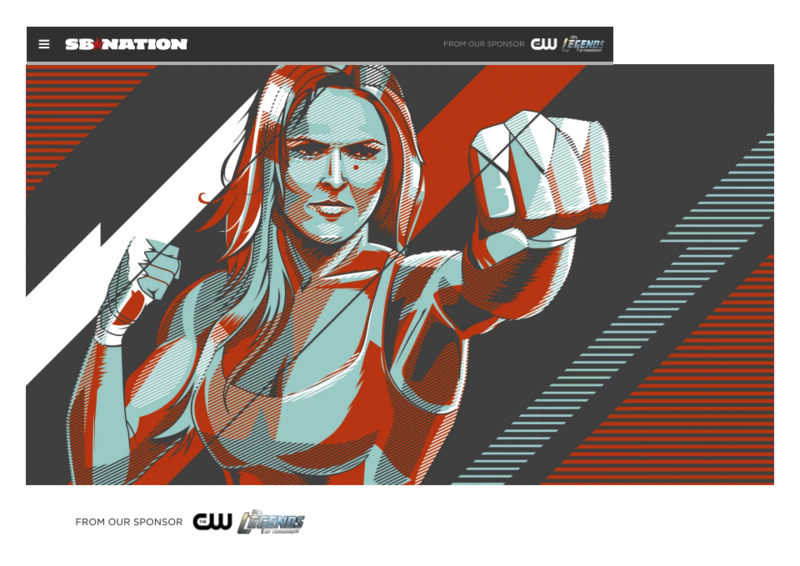 The premise of the program centers around a time-traveling hero who assembles a crew of disparate do-gooders to save the world. 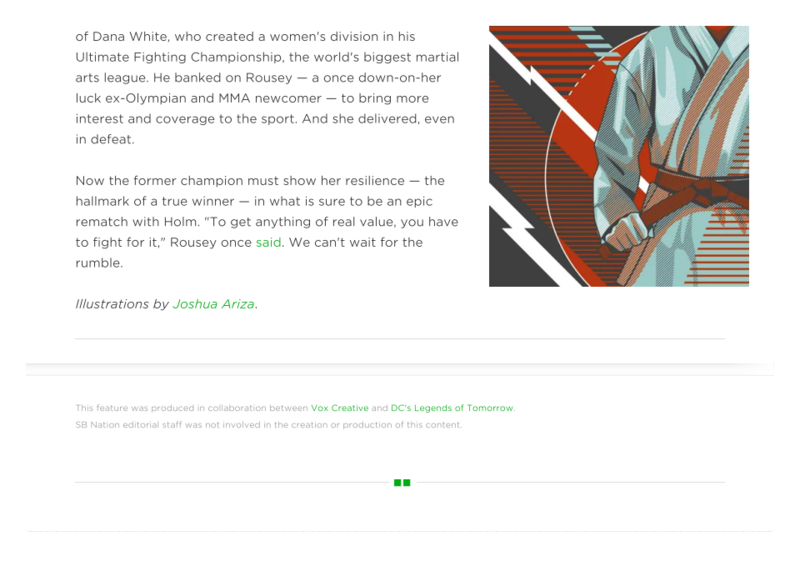 The unlikely bunch is urged to find their inner hero to max out their potential for excellence. 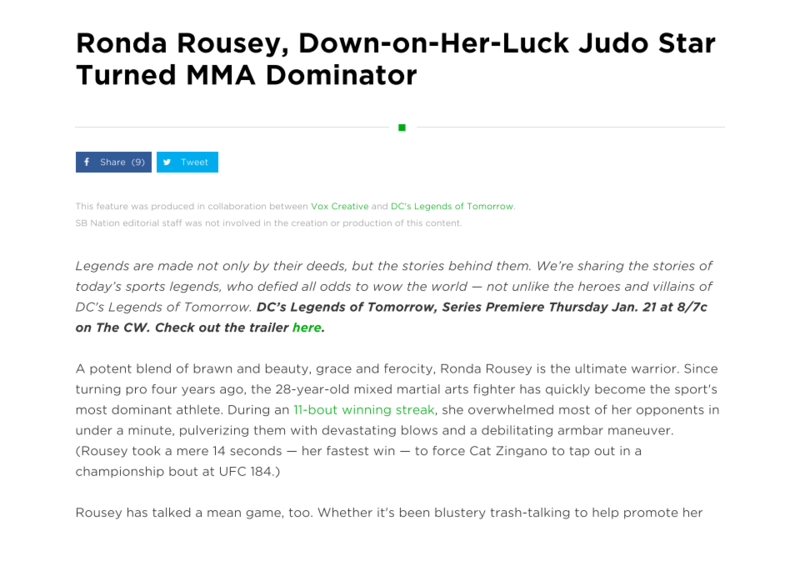 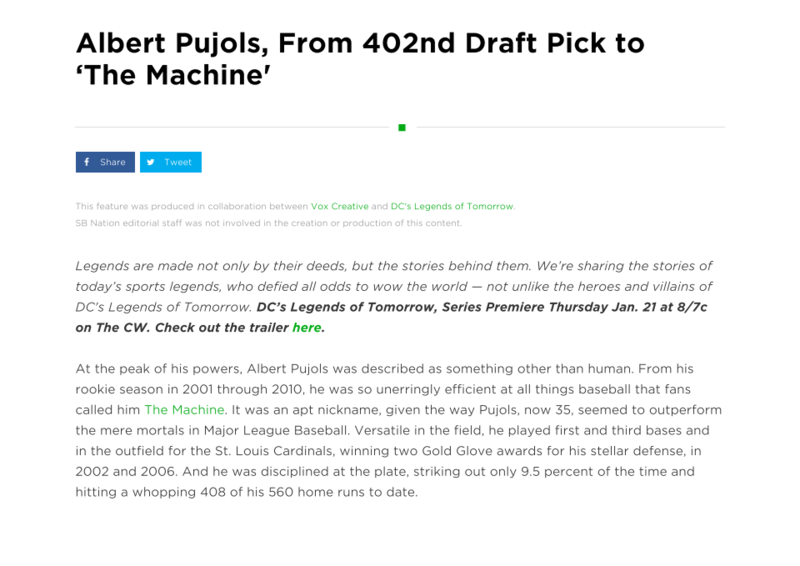 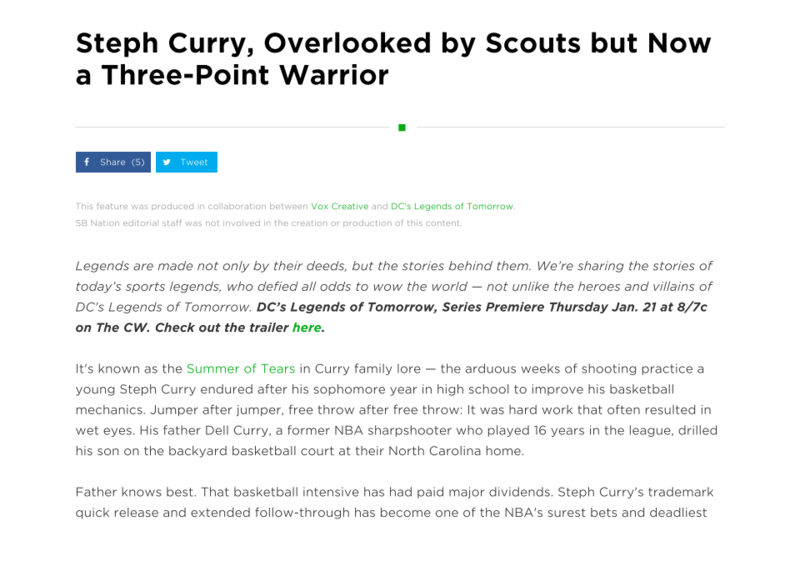 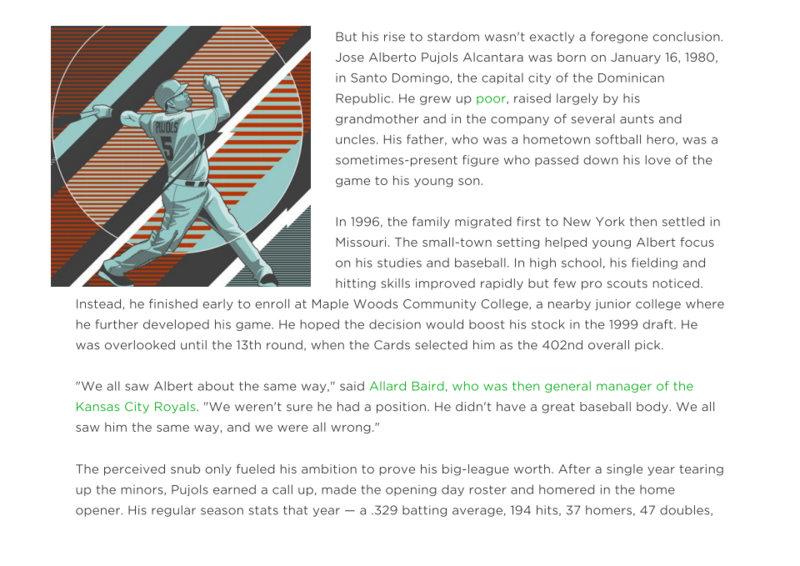 I wrote these three posts—which live on Vox Media property’s sports news site SBNation.com—to align with sports by telling the stories of legendary athletes who came from nowhere to achieve epic greatness. 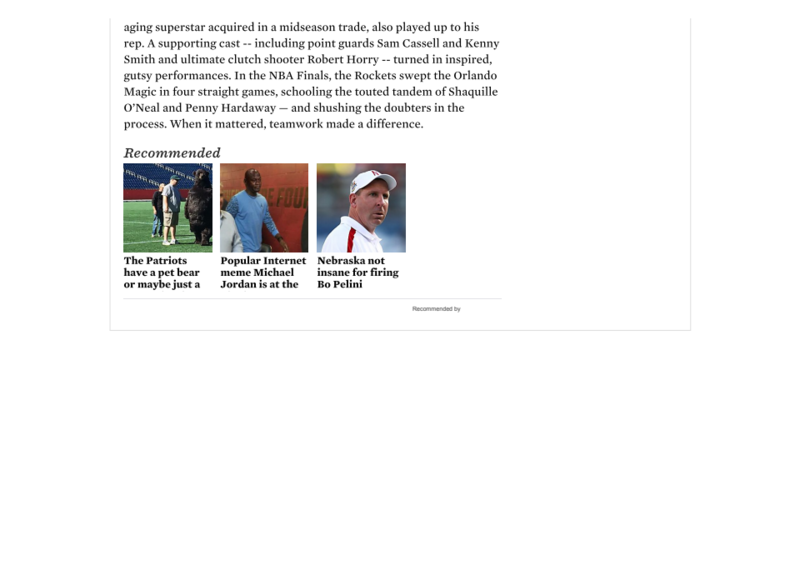 The pieces have that superhero-original-myth tone…just imagine John Facenda, the late narrator of NFL films, reading them aloud. 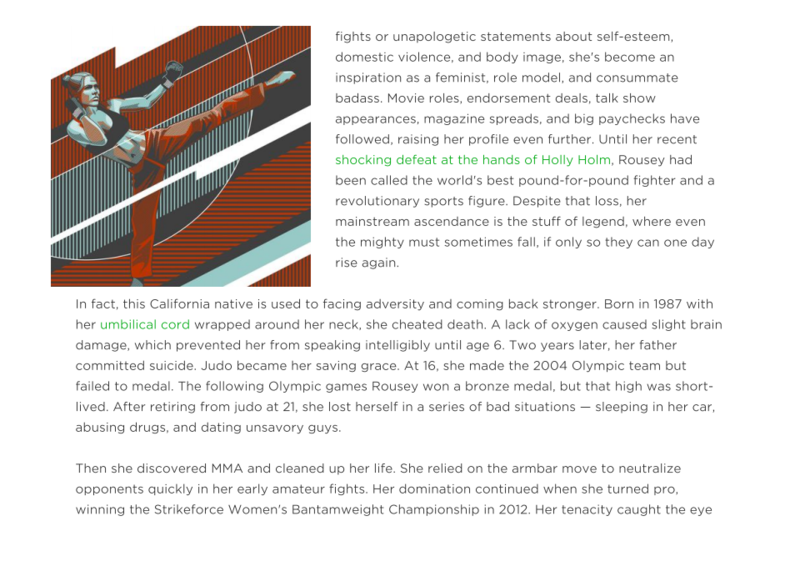 Ronda Rousey—a shock defeat loss doesn’t diminish her dominance. 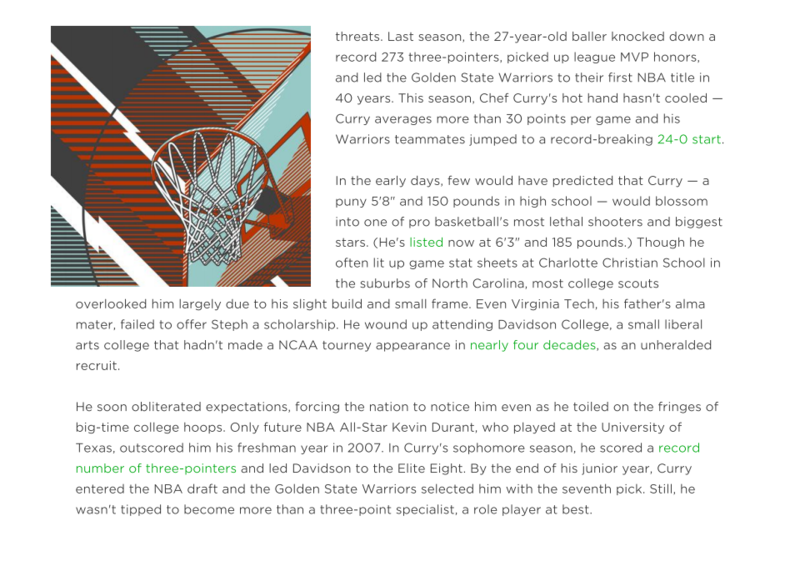 Steph Curry—shooting the lights out never looked this easy. 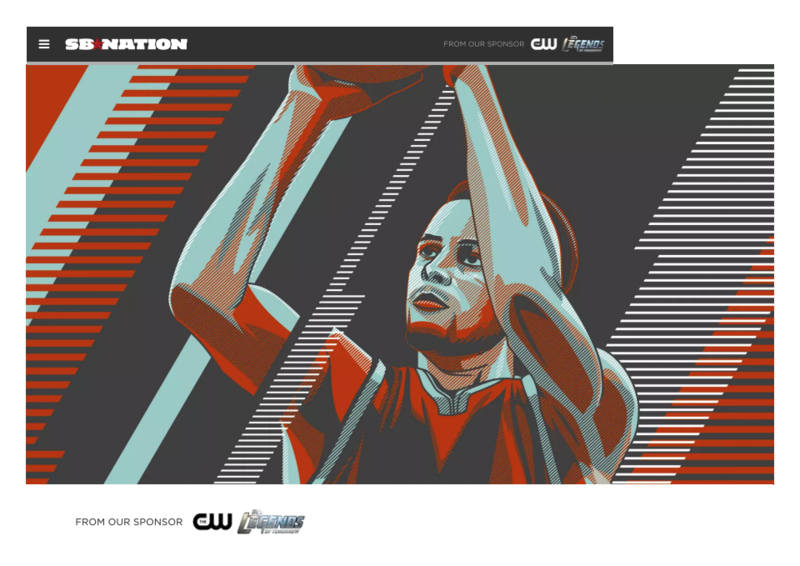 To align with Grand Marnier’s campaign messaging to “blend out” and diversify, VOX Creative was tapped to produce sports-related content in the same vein. 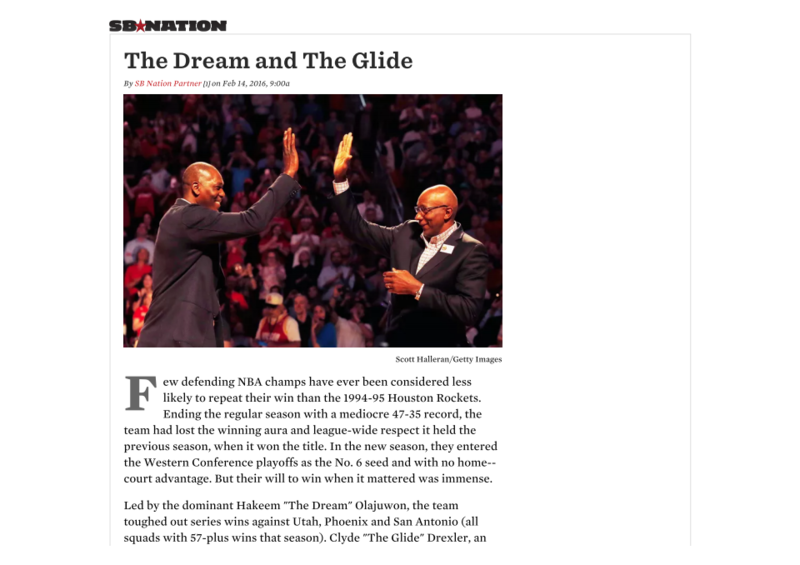 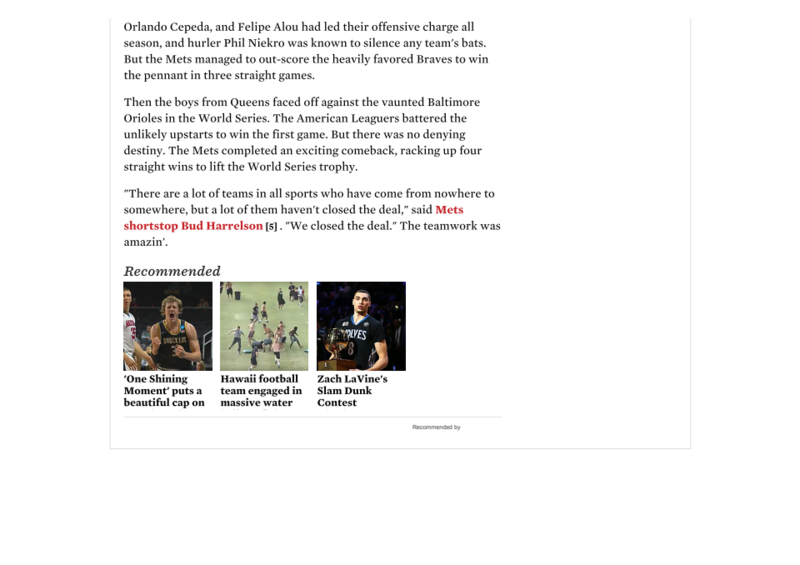 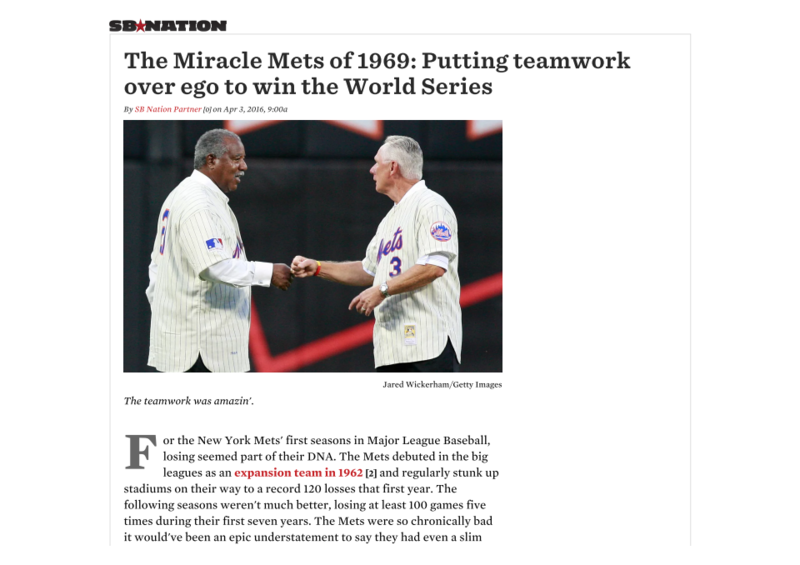 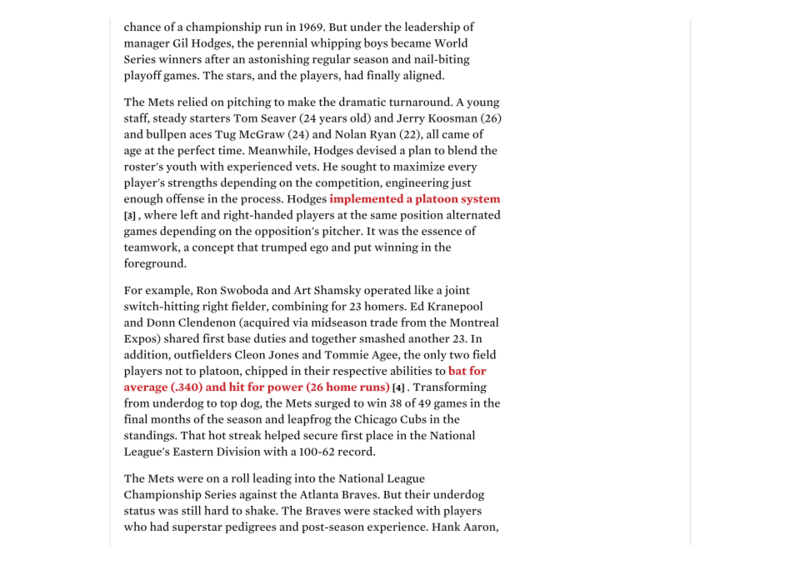 These posts about the 1994-95 Houston Rockets and the 1969 NY Mets were published on SBNation.com, timed to coincide respectively with the 2016 NBA All-Star Weekend and Opening Day of the 2016 MLB season.